WATERTOWN, Mass. – Sometimes you run into the wrong team at the wrong time. Canton (12-6-5) believed it was one of the top teams in Division 2 heading into the state tournament and had the potential to make a run at a third straight title game appearance, but then it got drawn with arguably the top team in D2, Wellesley, in the first round. The Raiders seemed to have found another gear in the past few weeks and that form continued on Monday night at the John A. Ryan Arena, as Wellesley rolled to a 5-0 victory and a return to the D2 quarterfinal. Wellesley opened the scoring after five minutes when freshman forward Lulu Rourke weaved through a trio of Canton defenders and dropped a perfect pass in the path of her sister Emily, who then fired a shot inside the post. Only 71 seconds later and Wellesley doubled its advantage. Bridget Noonan got the puck in the slot and picked the corner for a power play tally. The Raiders dominated zone time in the first period, but the Canton defense managed to hold the puck to the outside and limited Wellesley to only three shots on goal. Meg Aldrich, Alexa Maffeo, Katie Trerice, and company were able to block shots and keep the front of the net clear. On the other end, Canton’s chances were rare. The Bulldogs also managed three shots on goal in the first, but were unable to sustain zone time and take some of the pressure off the defense. Aldrich created a turnover in the neutral zone, which sprung Leah McClellan for a shot from inside the left face-off dot that was saved by Wellesley goalie Liddy Schultz. The second period was all Wellesley. The Raiders put 13 shots on goal in the second and Canton goalie Ava Pacitti had to hold firm to give the Bulldogs any shot of a comeback. Erin Fleming added a third goal with an unstoppable shot from the right circle to the stick side and Bliss Vernon found the five-hole from the high slot, but Pacitti kept Canton close despite all of Wellesley’s attacks. Tess Khoury nearly created a goal out of nothing for the Bulldogs when she poke checked a Wellesley defender on the edge of the crease and forced Schultz into a pad stop. McClellan aggressively forechecked shorthanded and tried to stuff the puck in from a tight angle after forcing a turnover. Although they went into the third period trailing by four goals, the Bulldogs managed to put together their best attacking period of the game. Lauren Fitzpatrick and Maggie Malloy were finally able to create some space to get off shots, as did Lizzie Tassinari. Canton would outshoot the Raiders 10-9 in the third, but it was Wellesley that added to the scoreline. Lulu Rourke took the puck down the left side and again showed off her stick skills to dodge a pair of defenders and stick the puck in with a backhand shot that made it 5-0. Attleboro, 7 @ Foxboro, 5 – Final – Attleboro’s Sam Larkin scored a hat trick to help the Bombardiers get past Foxboro. Ryan Morry added two goals while Cam Littig and Nate Parker each scored once. King Philip, 2 vs. Archbishop Williams, 5 – Final – Ryan Fitzpatrick and Garrett Maxwell scored for King Philip but the Warriors suffered a setback to Archies. North Attleboro, 0 vs. Bishop Feehan, 1 – Final – Click here for a Recap and Photo Gallery from this game. Oliver Ames, 1 @ Nauset, 0 – Final – Freshman Bryan Kearns scored the game’s only goal, assisted by Cullen Gallagher and Hunter Costello. Owen Connor was strong in the OA goal, making 25 saves to preserve the shutout and the win. Stoughton, 1 @ Old Rochester, 8 – Final – Stoughton’s Carter Gerome scored and Thomas McCoy made 35 saves for the Black Knights. Taunton, 5 @ Somerset-Berkley, 1 – Final – Taunton led by a goal at the end of each the first (1-0) and second periods (2-1), and then scored three third period goals to secure the win. Mike Albert (goal, two assists), Andrew Carter (goal, assist), Nick Vandermeel (goal, assist), and Cam Faria (two assists) each had multi-point games for the Tigers. Andrew Gomes made 26 saves to earn the win. Canton, 8 @ Whitman-Hanson, 0 – Final – Maggie Malloy notched a hat trick, giving her seven goals in the last two games, and freshman Tess Khoury had a pair of goals to lead the Bulldogs to the road win. Franklin, 4 vs. Algonquin, 1 – Final – Cassi Ronan scored two goals for the second straight game to help Franklin stay unbeaten on the season and hand the T-hawks their first loss. Gina Vignone and Amanda Lewandowski also scored for the Panthers, while sophomore Gabby Colace returned from injury to pick up her first win in net. Mansfield/Oliver Ames, 0 @ Longmeadow, 4 – Final – MOA freshman Jess Widdop made 28 saves for the Warriors. Monty Tech Duals – King Philip finished second overall at the tournament. Norton Quad – Sharon went 1-2 on the day, beating Danvers (48-28) but losing to Hingham (36-30) and to Norton (45-22). Alex Bolt went 3-0 for the Eagles. Whitman-Hanson Quad – Stoughton went 4-1 on the day, losing to Plymouth South (46-27) but beating Carver (51-12), Middleboro (54-29), Josiah Quincy (47-18) and Whitman-Hanson (51-30). Brockton Quad (Taunton) – The Tigers suffered setbacks to Brockton, Wayland, and Sandwich. Mason Frank (285) had two wins for the Tigers, both by pins. Brandon Mendes (106, pin), Ben Mandeville (113, pin), Tyler Lima (126, pin), Candido Santos (160), Ryan Silva (195, pin), and Devin Wilson (220, pin) each had a win for Taunton. Franklin, 136 @ King Philip, 131.6 – Final – Franklin’s Mia Lizotte won the all-around with a score of 36.35. Lizotte finished with scores of 9.35 on the bar, 9.2 on the vault and the floor exercise, and 8.6 on the beam. Sophomore Emma Owens (8.9), freshman Kate Rudolph (8.85), and sophomore Lexi Lupien (8.5) also had high scores on the vault. On the floor, Franklin got an 8.8 from Rudolph and 8.5 from her classmate Caroline Woelfel, as well as scores of 8.4 from Owens and senior Sadie Rondeau. FOXBORO, Mass. 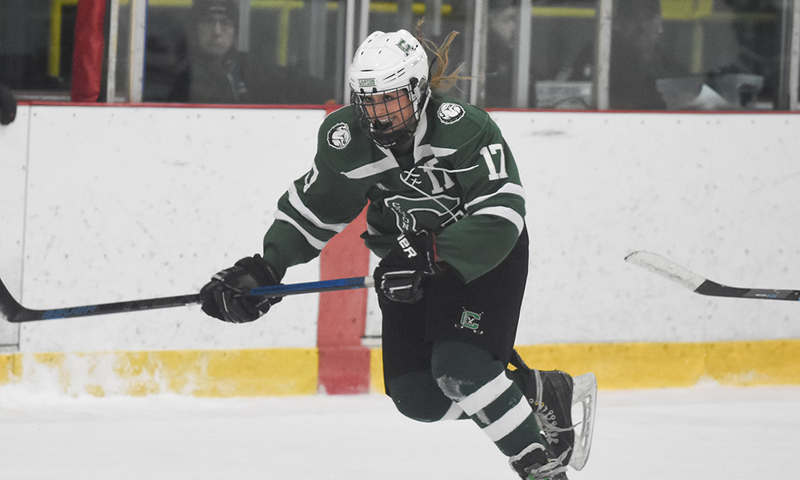 – During last year’s state tournament, forward Maggie Malloy caught fire and gave Canton the offensive firepower to match its solid play in the defensive zone. Malloy scored six goals and had three game-winners during that tournament run and it appears that momentum has carried right over to this season. 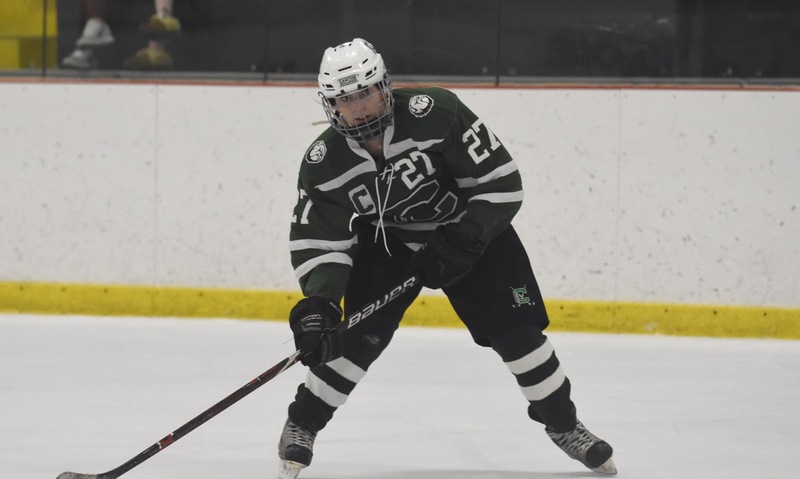 Malloy scored all four of her team’s goals on Wednesday night at the Foxboro Sports Center to help Canton open its Hockomock League title defense with a 4-1 road win against King Philip. She has six goals in three games to start the new year. It didn’t take long for the Bulldogs to open the scoring. Sophomore Ellie Rae Roberts (two assists) drove down the right side of the ice and sent a puck into the slot where Malloy was camped out. She fired a shot past KP goalie Lilly Potts (12 saves) and handed the visitors a 1-0 lead inside the first two minutes. Canton nearly doubled the lead a couple minutes later with Roberts having a shot from the right circle kicked aside and then Potts was quickly out to smother Malloy’s rebound attempt. KP’s first attempt on target came with four minutes left in the first when freshman Sydney O’Shea forced a save from the right wall. KP started to get a foothold in the game over the final few minutes of the first period, but again Malloy was there to pounce on a rare scoring chance. On the power play, Alexa Maffeo kept the puck in at the blue line and got the puck to Malloy, who was able to pick an opening past Potts. Down 2-0 at the start of the second, the Warriors had a great chance to cut the lead in half. Alli Meehan weaved through the Canton defense onto her backhand, but was denied by Canton goalie Ava Pacitti. It was a big moment for the senior netminder, who is in her first varsity season, taking over after Colleen Kelleher graduated. The Bulldogs came close to a third midway through the period when freshman Tess Khoury teed up Malloy in the slot, but Potts was there for a big stop. Maria Femia followed that with a shot off that caromed off the post and then Potts made good stops to deny Roberts and Malloy on the edge of the crease. Lauren Fitzpatrick also forced a save with a shot from the right circle. Malloy completed her hat trick with three minutes left in the second. Khoury set her up alone in the middle of the zone and Malloy showed remarkable patience before firing a shot under the bar. Meanwhile, on the other end, Canton was holding KP to just eight shots through two periods, combining strong defensive play with aggressive back-checking from the forwards. In particular, Aldrich praised his seniors, Malloy and Fitzpatrick for setting the tone. KP came out strong in the third period, but Malloy essentially sealed the win inside three minutes. She stole a puck on the edge of the attacking zone, dragged the puck to her left, opened up her body and found the back of the net. The Warriors didn’t stop skating, despite being down by four goals. Sammy Robison fired a shot from the point that was redirected inches wide by Meghan Gorman. Nicole Connor, who was all over the ice for KP, fired a shot from the point that Pacitti (16 saves) gloved and then was denied by a quick pad on a wraparound attempt. With 3:49 left to play in the game, KP got on the board. Sophomore Avri Maxwell went five-hole with a shot from outside the right circle for a power play goal. She almost got a second a minute later but Pacitti stopped two efforts on goal. Canton (3-0) will look to continue its unbeaten start to the season on Saturday with a trip to Whitman-Hanson. King Philip (1-2-1) will take the trip to Dennis-Yarmouth looking to get back to .500 on the season.